In our over twenty-five years of practicing real estate law in NJ, we’ve heard a lot of the same questions regarding real estate. Call us, tell us about yourself and your transaction and we will be happy to quote you the amount you can expect to pay at the time of your closing. We hate surprises as much as you do, so we will strive to provide you with a figure you can budget to as far in advance as possible. Do you specialize in real estate? Yes. It’s all we do. Sanchez Law is a boutique firm dedicated to the practice of real estate law, at the highest levels possible. Do you practice in states outside of New Jersey? Our residential real estate practice is limited just to New Jersey, but our commercial practice spans the entire U.S. and even internationally. Do I need an attorney to buy a house? Technically, in New Jersey, you can represent yourself, but in the immortal words of Abraham Lincoln, “he who represents himself has a fool for a client.” You absolutely need counsel. You lack the expertise (and the time) to negotiate terms and conditions, you don’t have 15,000 closings worth of experience to know how a particular negotiation strategy will play out. In your life you will probably buy/sell real estate 1-3 times. A Realtor’s job is to sell you the house and facilitate the process. Only a lawyer can adequately project manage your transaction. Only a lawyer can interpret contract terms and represent your positions. Also, a lawyer can keep you from making mistakes, which could cause you to lose your deposit, or worse, be sued. Lastly, a real estate lawyer can minimize your stress and anxiety. 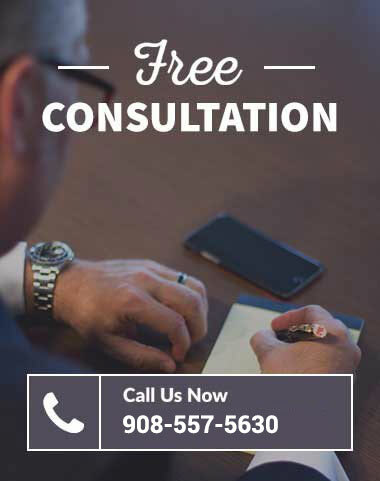 The only reason not to use an attorney is cost, but if you try to save yourself a legal fee, you are sure to risk much more if you try to do it yourself. Besides, most attorneys representing the other side will probably refuse to work with you unless you hire a lawyer. Yeah, but my Realtor said I don’t need a lawyer? No Realtor worth their salt will ever say that to you. If you’re working with someone who’s said that to you, I recommend you call us so we can recommend you a better Realtor. Realtors are not lawyers. Without counsel, you will be forced to ask questions only a lawyer can answer, to your Realtor, who because of the 100% commission nature of the industry, will probably try to answer your questions, unlawfully practicing law without a license. We basically negotiate the contract, negotiate inspection items, confirm title is clear, project manage your transaction and facilitate your closing. We’re the conductor in a marching band. We explain the process, answer your questions, quell your anxieties, and keep things on track. Lastly, we give you counsel, based on our vast experience and in context of your particular situation. My offer was just accepted (I’m a buyer), what do I do? I just accepted and offer (I’m a seller), what do I do? I’ve been told I have 3 days to do attorney review, is that right? Not exactly. You have 3 days from the day all parties receive a fully executed copy of the contract to hire counsel and enter the attorney review process. Attorney review can last as long as needed, even beyond 3 days, and ends when all the terms and conditions of the contract have been fully negotiated. This is the process during which your attorney takes the generic Realtor-drafted contract you signed, and modifies it to make it bias to you. During attorney review any term or conditions can be changed and anyone can cancel the contract for any or no reason. This is why Realtors will tell you to get through this process as soon as possible, so another improved offer (if you’re a buyer) doesn’t beat yours during the attorney review process.